A fast start out of the gates for both himself and St. Louis has Kevin Shattenkirk doing everything but singing the Blues. He's averaging over a point per game patrolling the blueline for a team that has lost just once in their first six games, while fashioning a plus-five rating. Shattenkirk, who turned 24 on January 29, couldn't have scripted it any better. "The one thing you're hopeful of is a good start, especially in a shortened season," the defenceman told NHLPA.com. "Obviously, we are all thrilled with the way things have gone so far. But you can't take anything for granted, you can't let up for a moment." Traded to the Blues on February 19, 2011 from the Avalanche, the team that drafted him 14th overall in 2007, Shattenkirk has been a boon to the St. Louis defensive corps, a reliable contributor at both ends of the rink. He attributes his impressive beginning this campaign to playing in Europe during the lockout. "I really think that helped me out in so many ways, playing in Finland," said Shattenkirk, who appeared in 12 games with TPS, recording six points for the Elite League squad. "Going there, that helped me get rid of any bad habits sooner, got you into that competitive mindset. It was a huge benefit for me in that it helped me get a little bit ahead of the curve." It's also turned out to be a benefit for a Blues team that finished first in the Western Conference’s Central Division last season, but lost to eventual Stanley Cup champion Los Angeles Kings in the semifinal round. "It was a perfect example of what a team is capable of when they come together and play their best hockey at that part of the season," offered the Connecticut native. "Everything clicked for them. They had every aspect of their game going and the end result was winning the Cup. "That was something that resonated with us. We achieved a lot last year and I think we were able to learn quite a bit about ourselves and what we need to do to take things further." Don’t, however, expect Shattenkirk to get sidetracked by thoughts of ticker tape parades any time soon. In a league where parity rules and playoff spots or seedings can be determined by a single point, a short-term mindset is a necessity. While it’s too early predict much of anything, Shattenkirk is hopeful St. Louis can maintain their consistency as the games continue to take on more importance. There’s no doubt what Shattenkirk’s presence has meant, even if he’s quick to downplay his efforts. Kevin Shattenkirk plays in his first Winter Classic with the New York Rangers in five days! Find out which Ranger was on the back of his favourite NHL jersey growing up and more. 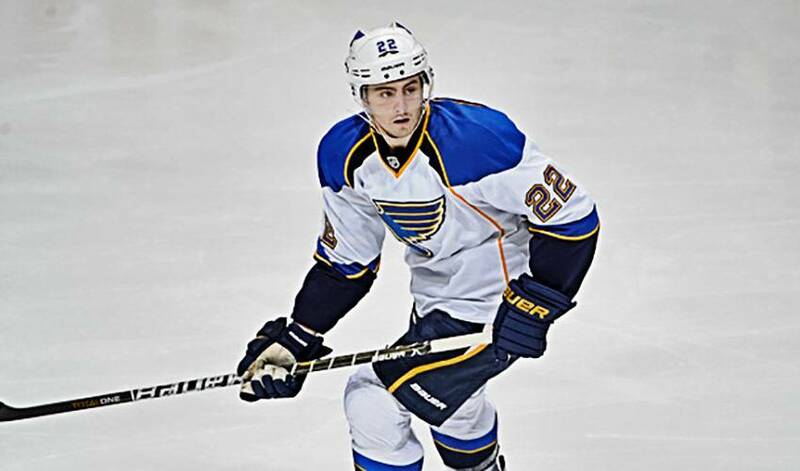 Get to know Washington Capitals blueliner Kevin Shattenkirk in this week's Player Q&A. Does the future of hockey training include robots? Looks like it! Jordan Binnington hit the ground running with his first NHL start by earning his first shutout in the league, only to cruise to three straight wins over the week.